Music Tag now supports music files of the FLAC audio type. 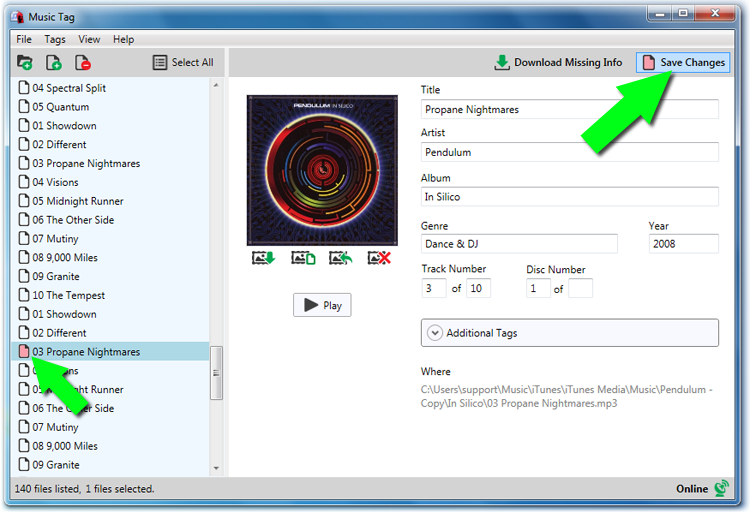 Download, install and run Music Tag (download link below). Add any tracks which you would like to edit the tags of from your computer to Music Tag. Select a track, then edit any of the text fields on the right of Music Tag. Once you are happy with your changes, click Save Changes. If you wish to edit the tags of your music tracks manually, Music Tag gives you the ability to do this quickly and easily. Check out our support article if you instead wish to download missing track information automatically. Music Tag now supports music of the FLAC file type. For a full list of the audio formats supported by Music Tag, check out the list of Music Tag requirements. To manually edit existing tags, launch Music Tag and add your music to the application. 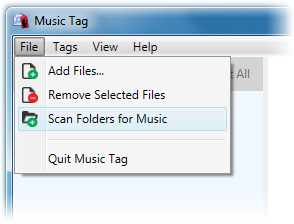 You can do this by dragging tracks from iTunes or folders on your computer into Music Tag; by going to File > Add Files... in Music Tag; or scan for music in folders by going to File > Scan Folders for Music. With your music loaded into Music Tag, click the track which you would like to edit. It's track information will be displayed on the right-hand side of the application in editable fields. Click inside a text field to edit the tag. Once you're happy with the changes that you have made to the tags on the track, hit the "Save Changes" button to apply the tags to the track. 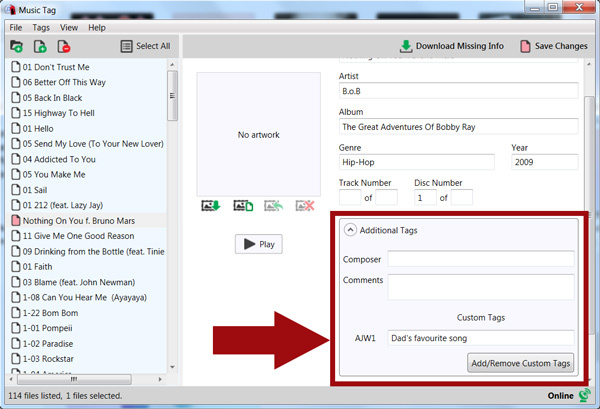 As well as allowing you to modify tags, Music Tag also gives you the ability to add tags to your tracks.